Yes the maverick Portuguese coach who once coached Dynamos and only managed five points from five opening games now wants his job back. 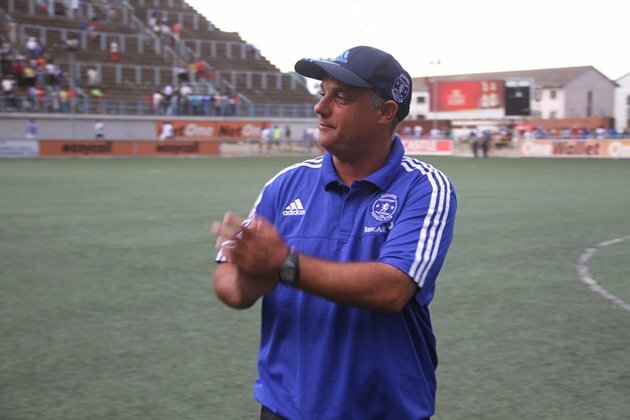 Reports indicate that the Portuguese coach has been calling Dembare officials inquiring about Lloyd Mutasa's job. "He has been calling and enquiring if he can get his job"H-Metro reported as saying. "We appreciate his interest but there is no chance we will take him back at all. This is not a good time for us but he is out of the question. "We can't go back to those challenges of fighting in the dressing room and bad results on the field of play. In any case, the case of whether to continue with Mutasa or not has not yet been tabled". Dynamos has been struggling under Mutasa posting two wins, two draws and three defeats.